The 140-seat theater is conveniently located adjacent to the Basalt Rock Café. This diverse space is able to accommodate anything from a film premiere to a training summit, yet intimate enough to gather your family for a slideshow. The elevated stage allows the speaker or performer to be easily visible. 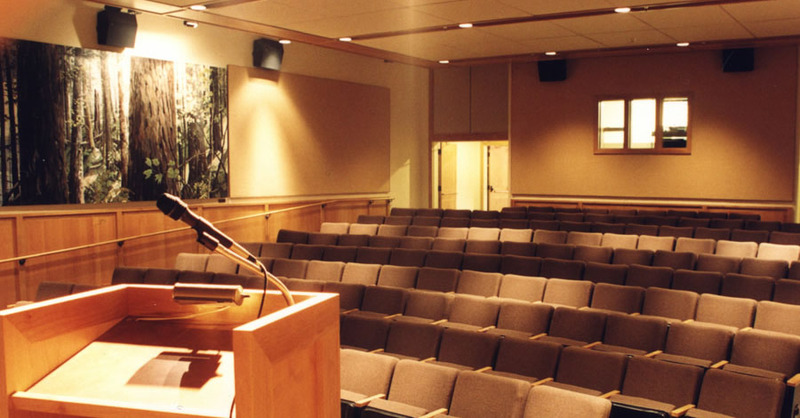 Equipped with a projection room ready to accommodate all of your A/V needs, the M.J. Murdock Theater is the only one in the entire Columbia Gorge available for both public and private use. Amenities (included): digital projector, sound system, 20’ x 8’ projection screen, podium, and microphones.